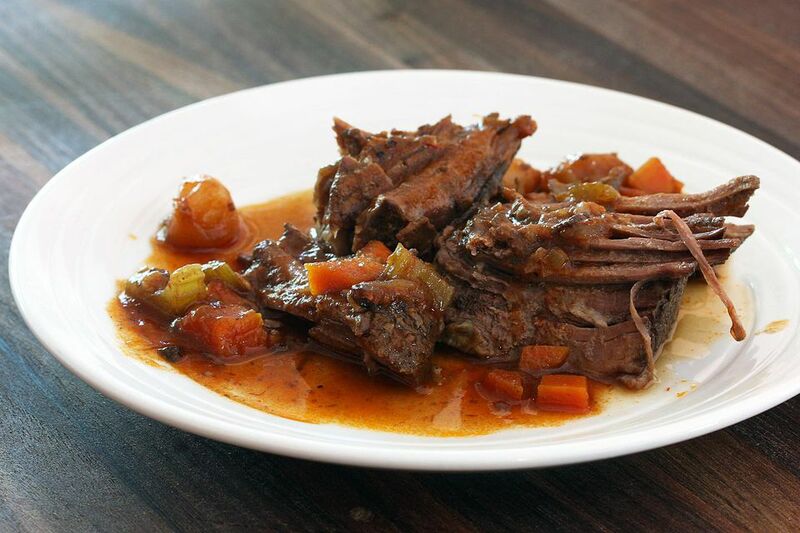 This pot roast is a snap to prepare in your slow cooker, and tomatoes and red wine make it flavorful. Sprinkle roast with salt and pepper; coat with the flour. In a large skillet, heat olive oil over medium-high heat. Sear the roast on all sides; transfer to the slow cooker insert. Add onions to the skillet and cook, stirring, until lightly browned. Combine the remaining ingredients and add to the onions. Cook, stirring, until the mixture is simmering. Pour over the roast in the crockery insert. Reduce heat to LOW and cook for 7 to 9 hours longer. Or, continue cooking on HIGH for about 4 to 5 hours longer. Transfer the roast to a serving platter. Put juices in a saucepan and simmer for about 5 to 10 minutes to reduce liquids and concentrate flavor.